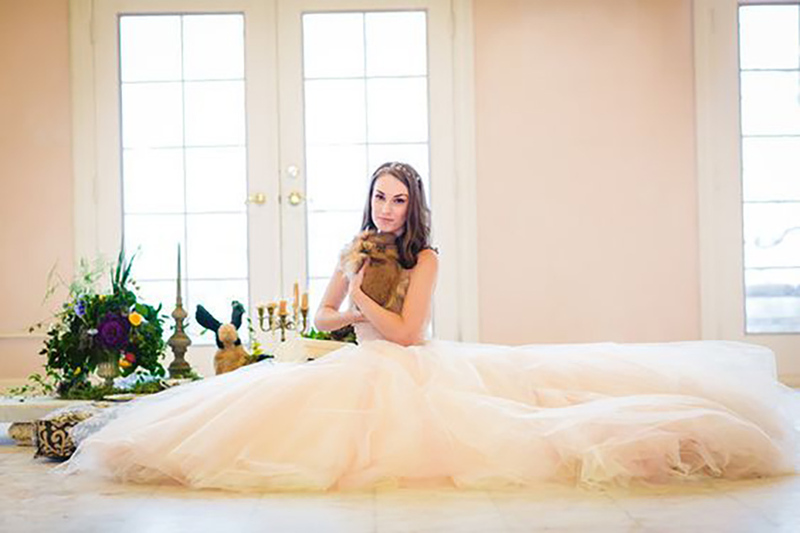 When it comes to dressing up, embrace the cute and playful look and opt for feminine style gowns and pretty pastels. 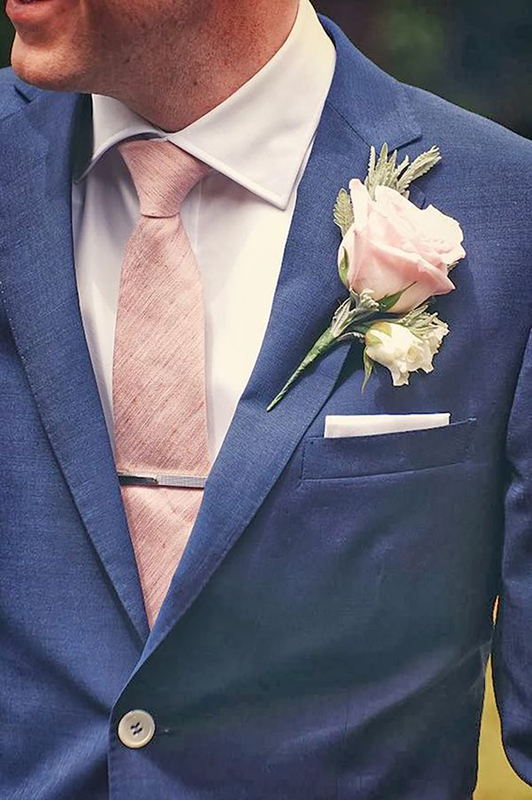 Accessories are a great way to add a splash of colour to your day, while keeping the traditional bridal style. 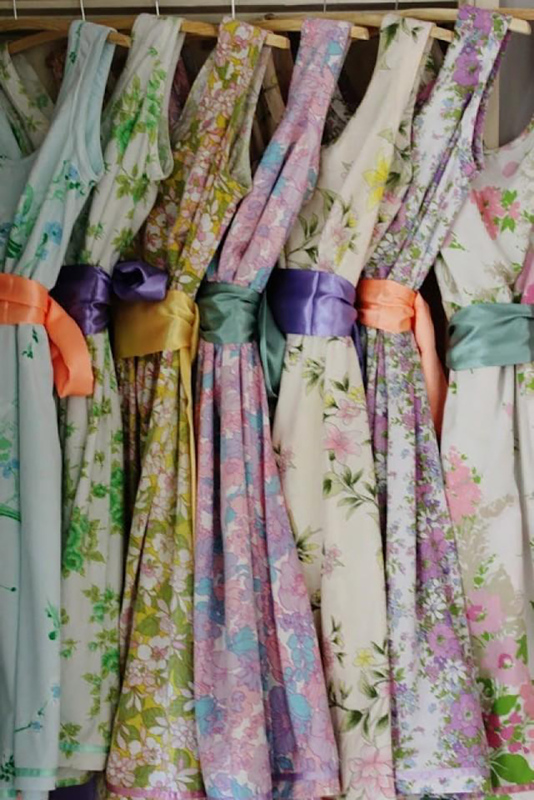 Your bridesmaids will look great in mismatched pastel shades, or dressed up in chic vintage tea-party gowns. 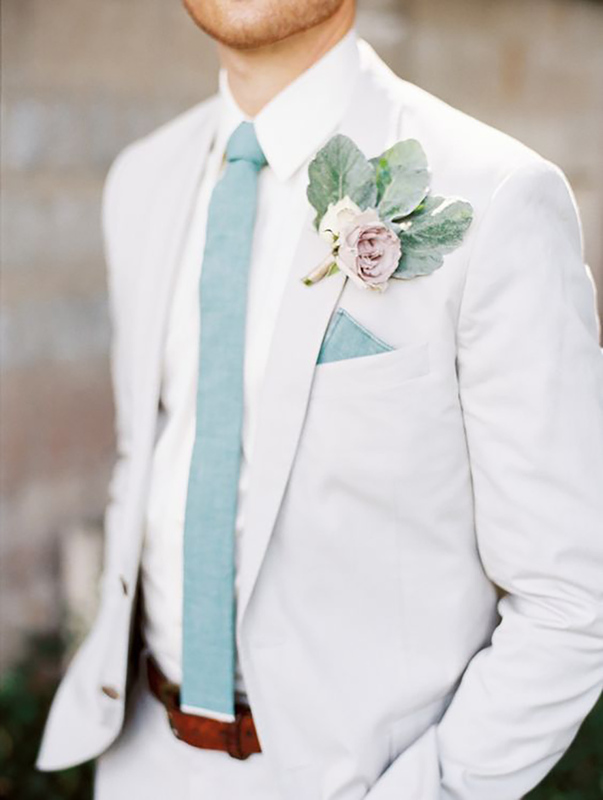 Your groom can also wear pastels, with a touch of yellow, blue, pink or green in his pocket square and tie. 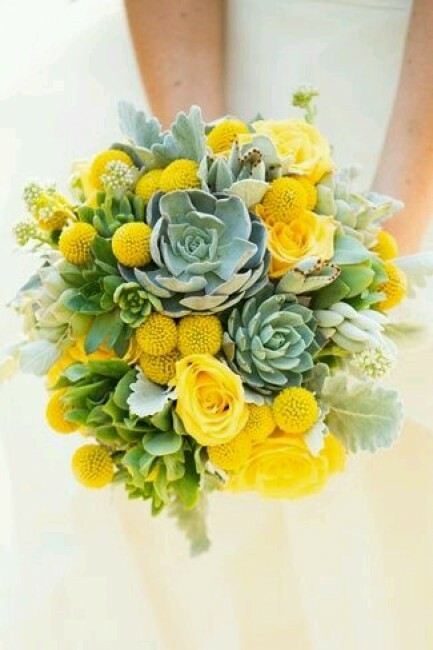 With a spring wedding you’ll have plenty of choice when it comes to your big day bouquet. 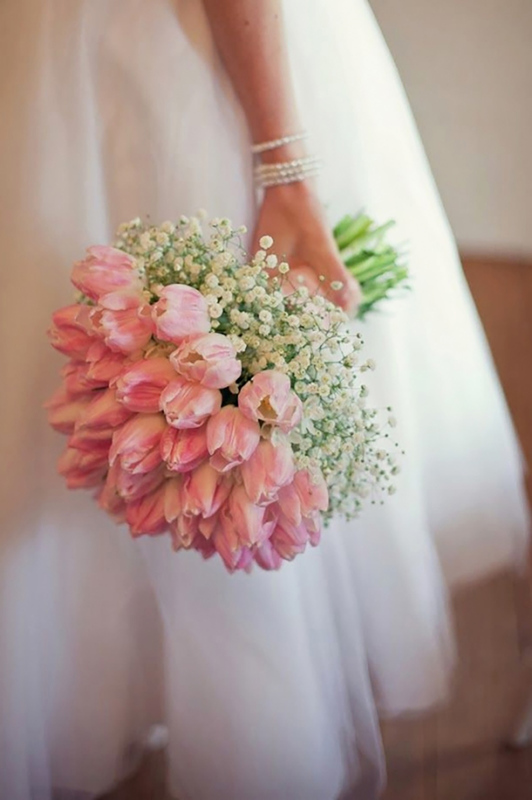 Daffodils and tulips are great choices for Easter, as are pastel shaded or sunshine yellow bouquets. 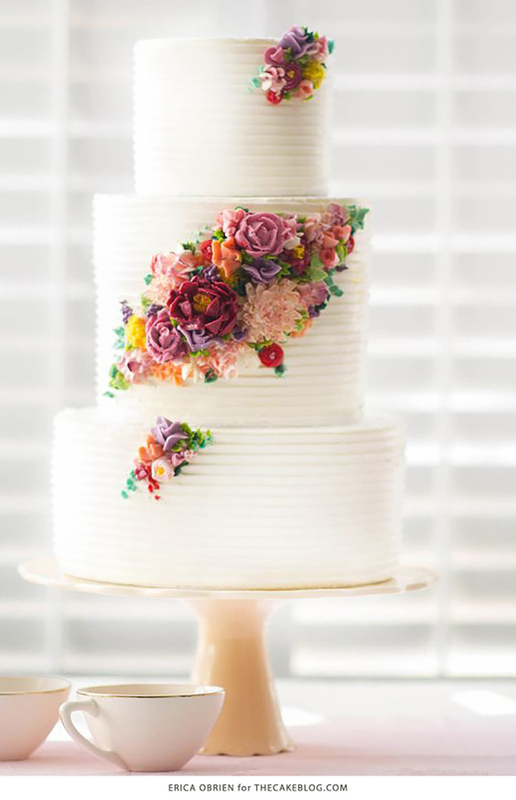 Your wedding cake offers the opportunity to play with colour too, and create something that’s part of the décor. 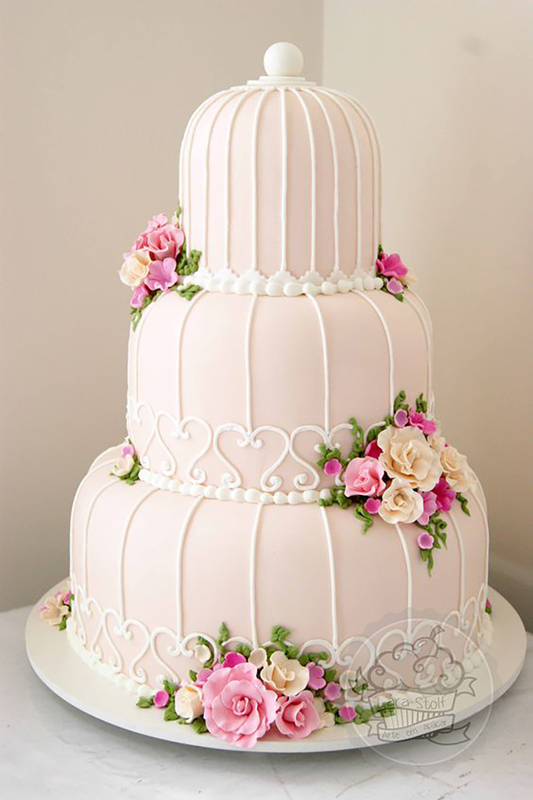 From bright-bloom embellished designs to pastel painted cakes, the world is your oyster. 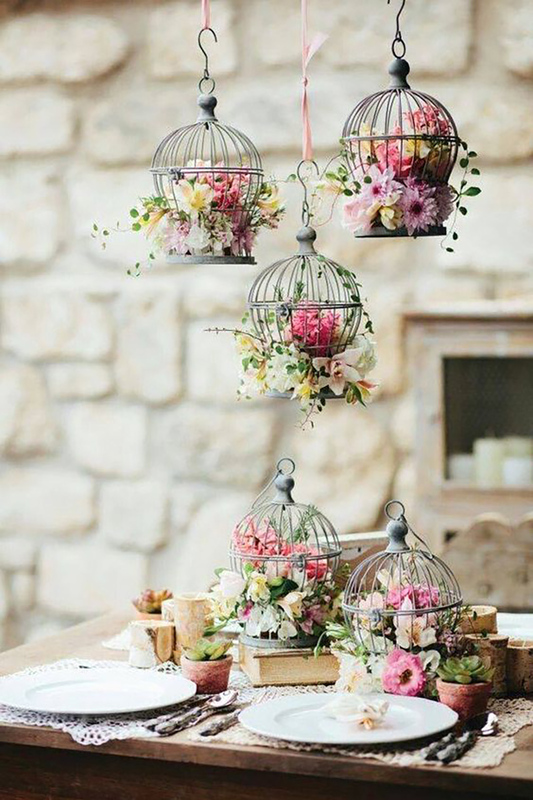 For vintage weddings we recommend the perennially chic birdcage cake. 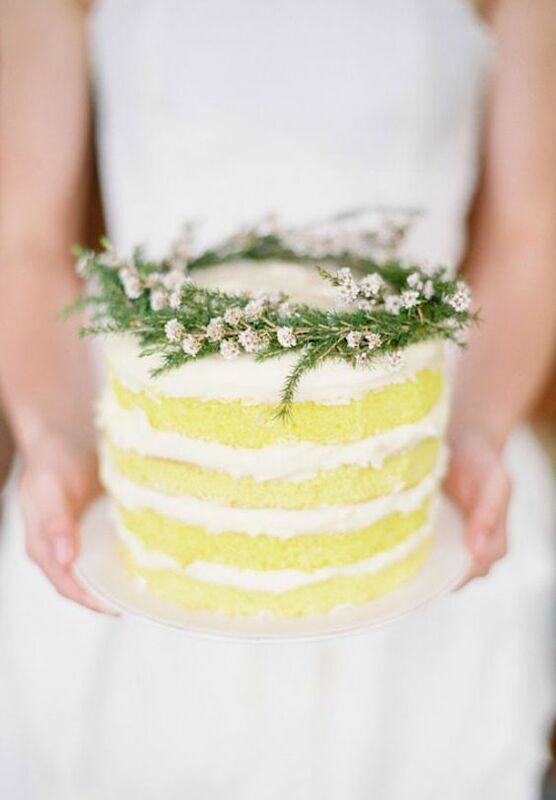 If it’s a naked cake you’re after, why not play around with Easter colours and create a rustic and delicious yellow base cake? 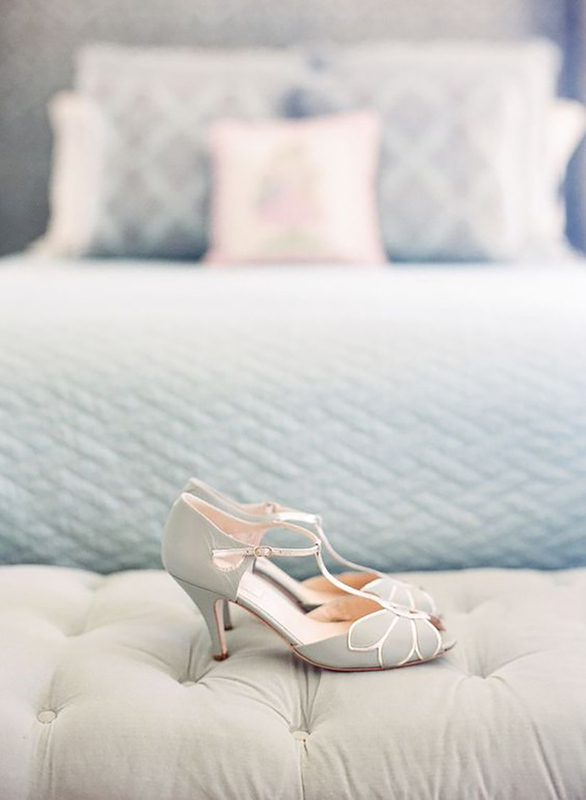 Your colour scheme will help to set the mood for the day - so don’t forget to choose something chirpy. 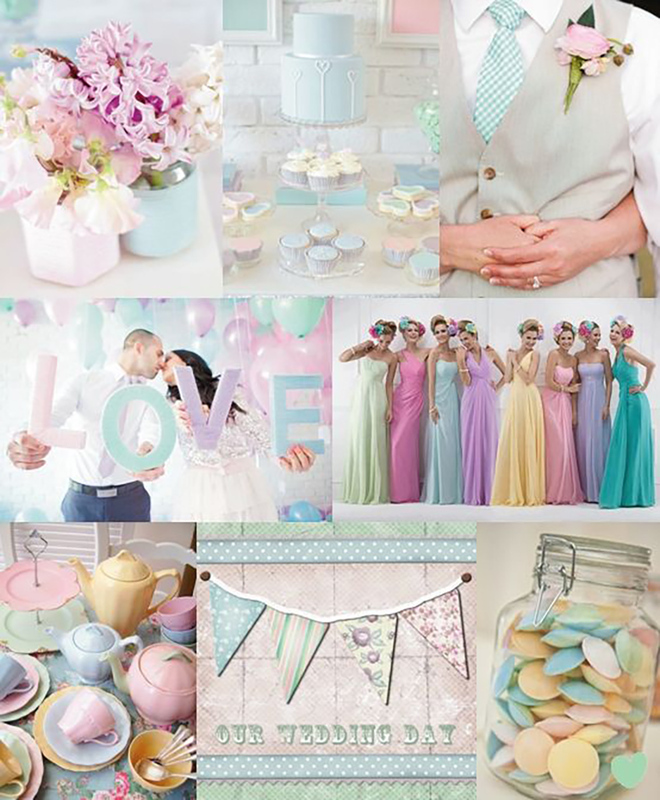 Why not combine some of the hottest colours of the year, such as buttercup yellow, serenity blue, rose quartz and lilac grey, for a pretty pastel day. 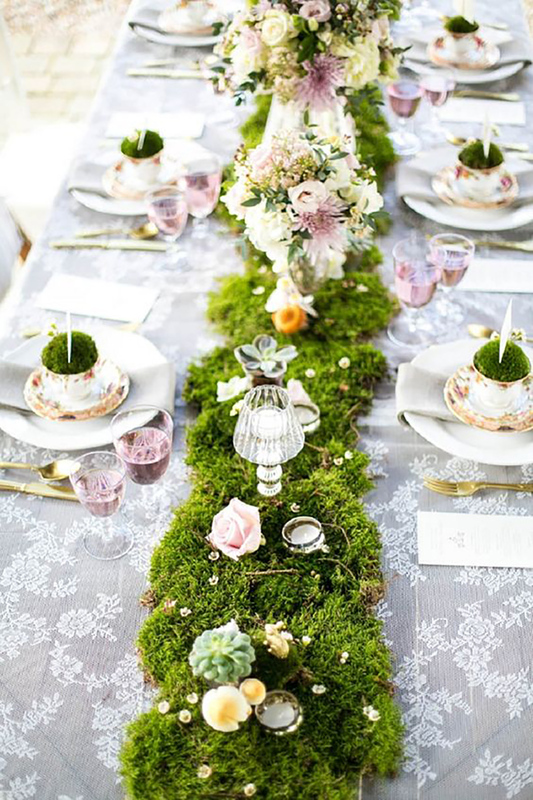 If you’ve been dreaming of a rustic, woodland wedding opt for earthy shades with a simple pop or colour. 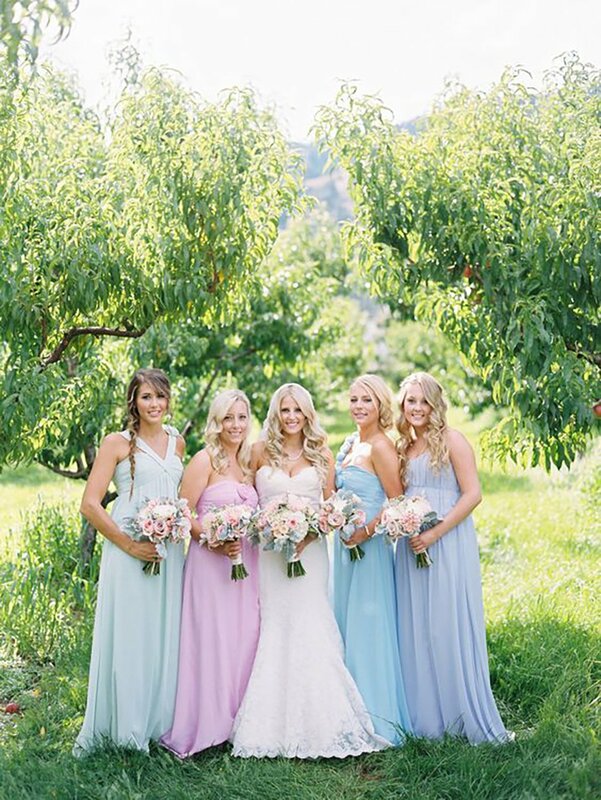 We love beiges, browns and greens teamed with serenity blue or a hint of turquoise or pink. 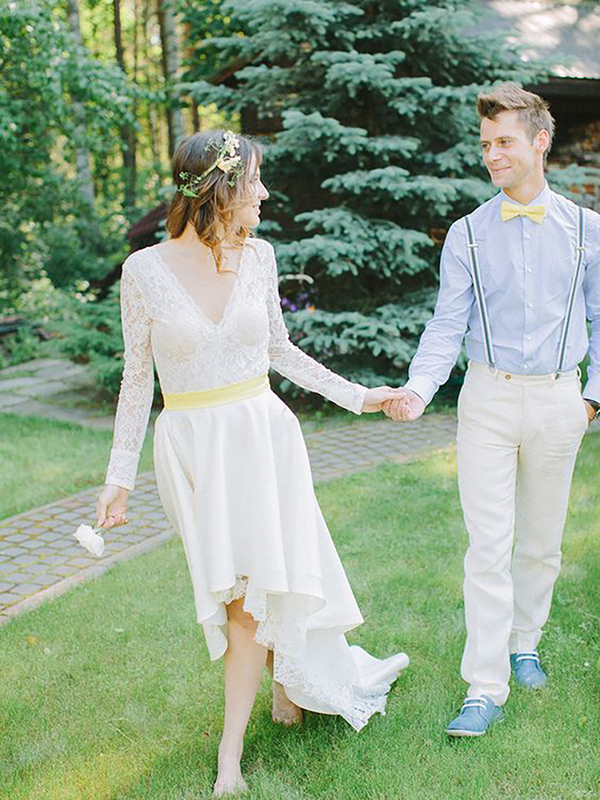 When it comes to designing the finer details of your day think of the season and make it fun. 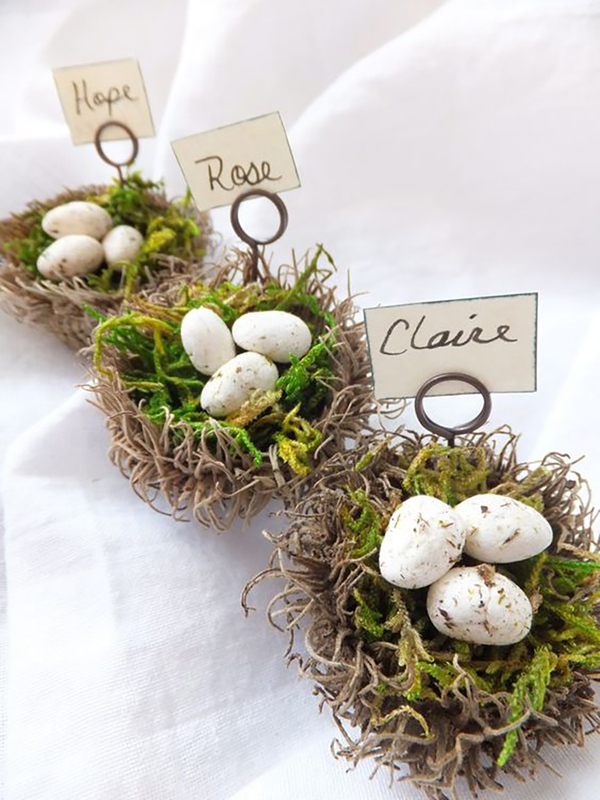 The addition of moss to your tables, with a few bright and light colours, adds a real feel of spring. 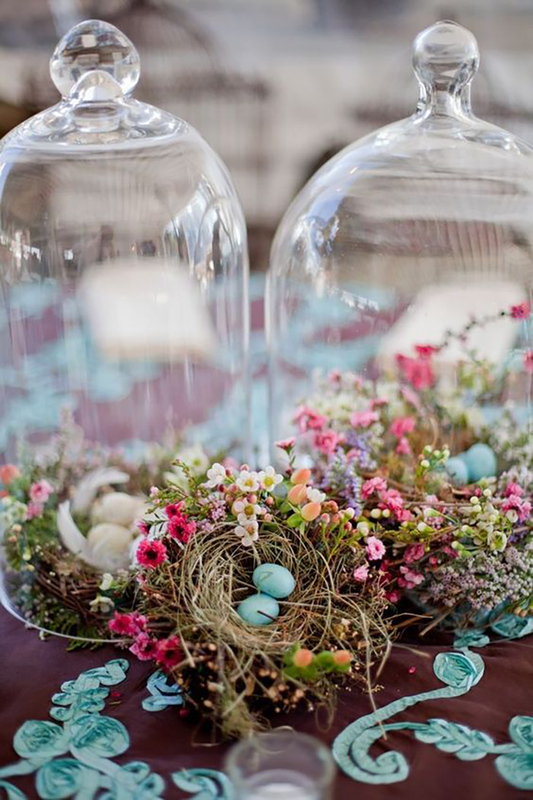 Likewise, flower-filled birdcages are another great idea for the garden party-inspired Easter wedding. 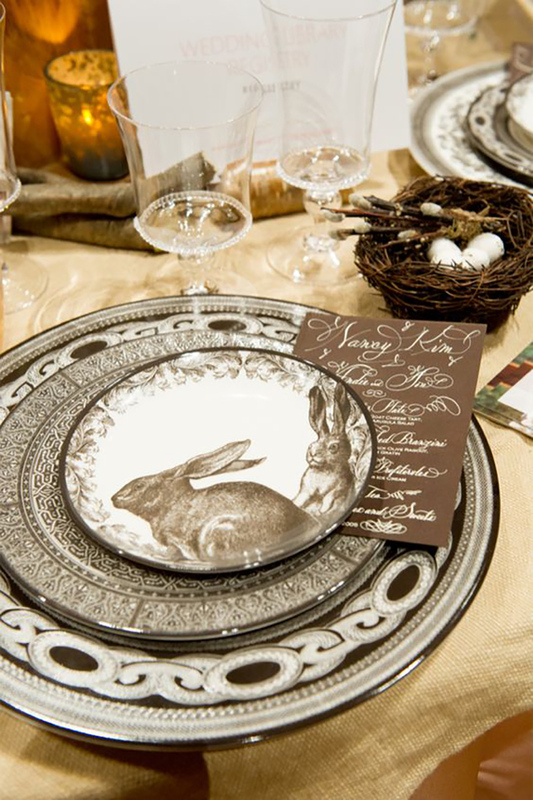 If you’re looking for a way to add a vintage touch to your day why not theme your day with Peter Rabbit? 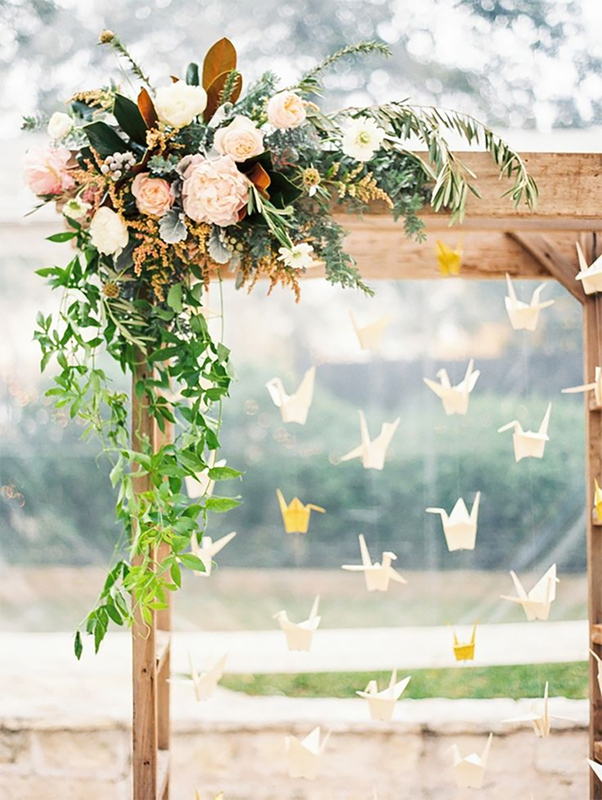 From woodland-inspired designs and earthy colour palettes to fun photo booth details, it’s a fabulous way to personalise your day. 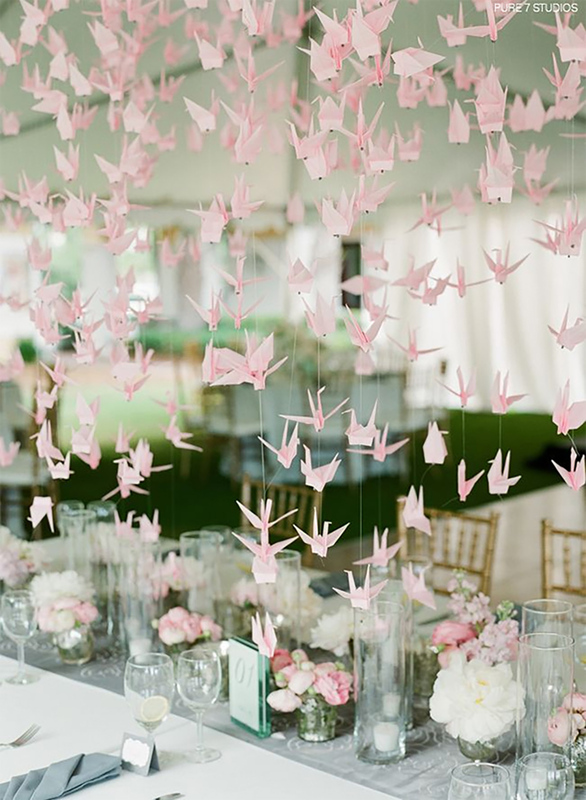 Paper crane backdrops are another great way to add some wedding pretty to your setting. 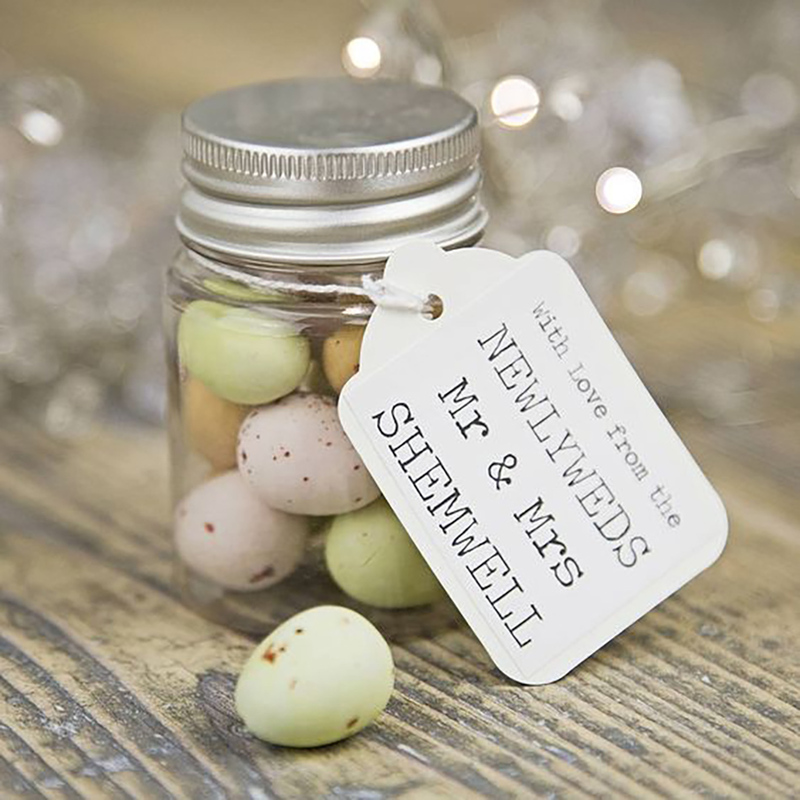 Set one up in your ceremony room or reception space behind the top table, or use in your photo booth setting. 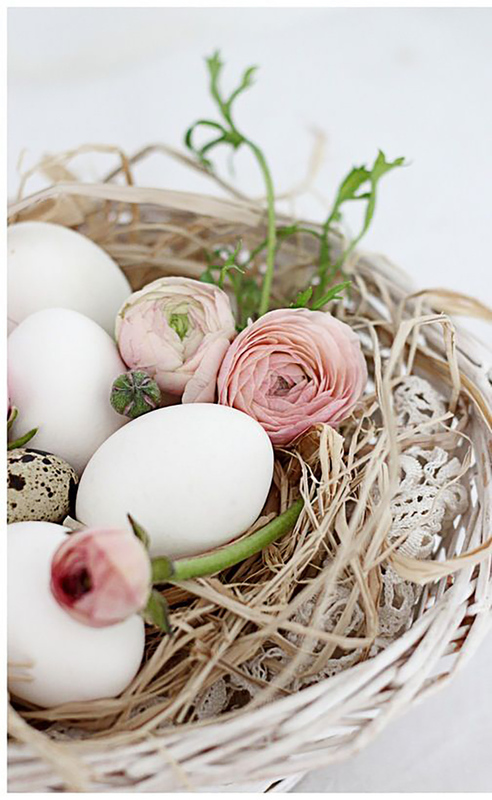 Of course, an Easter celebration isn’t complete without Easter eggs, so work them into your wedding design where you can. 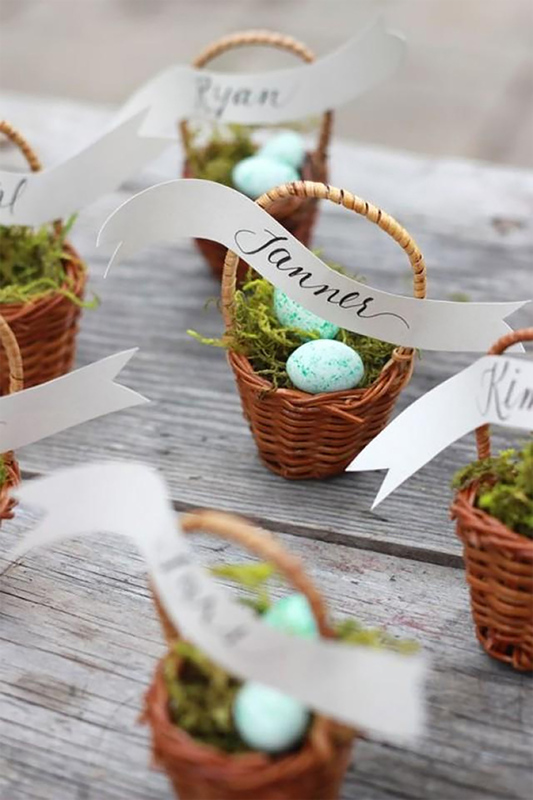 We love these mini egg table settings and chic and colourful centrepieces! With Easter being a celebratory occasion, you can go all out with your food and drink. 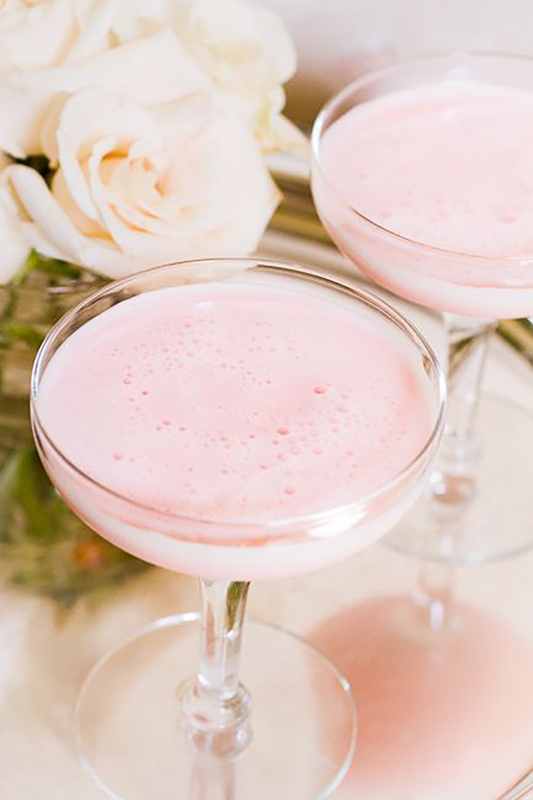 Start off with pretty cocktails to match your colour scheme. 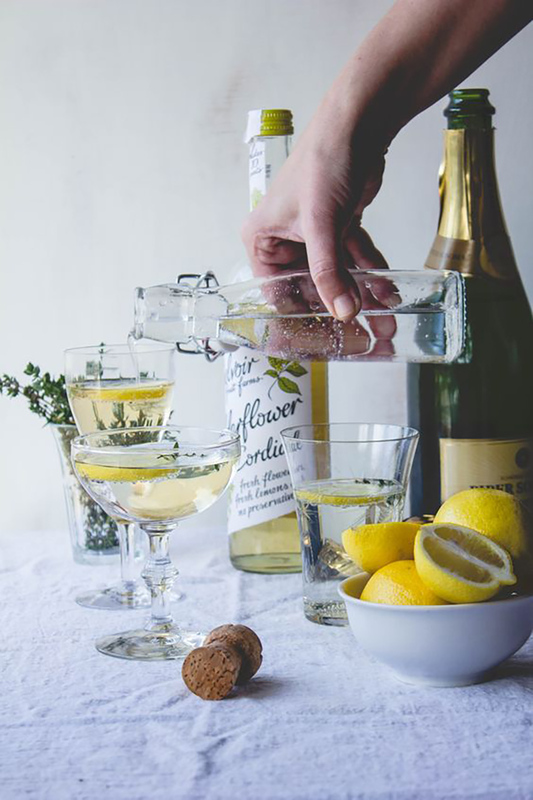 As lemons and pinks are popular colours for spring, why not serve up elderflower and thyme tipples, or chic Charleston Pink Lady cocktails? For dinner, why tuck into a delicious lamb feast, with seasonal favourites such as minted Jersey Royals and spring greens? 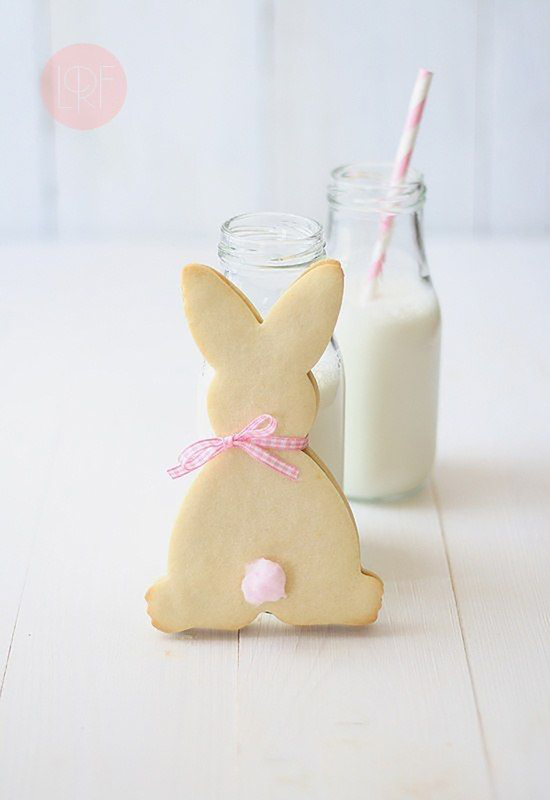 And if you’re looking for something more light-hearted for your day, we’d also recommend an Easter-themed afternoon tea. 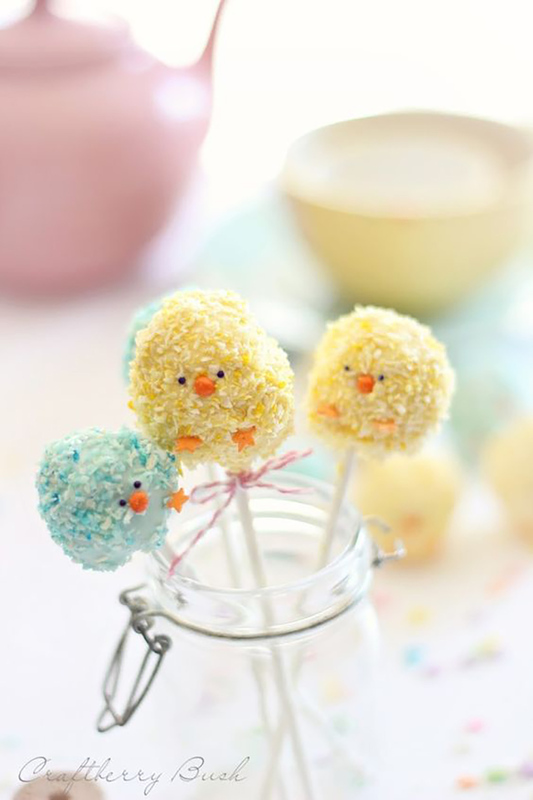 Your foodie favours can be themed to the season too, with potted mini eggs and cute Easter cake pops. 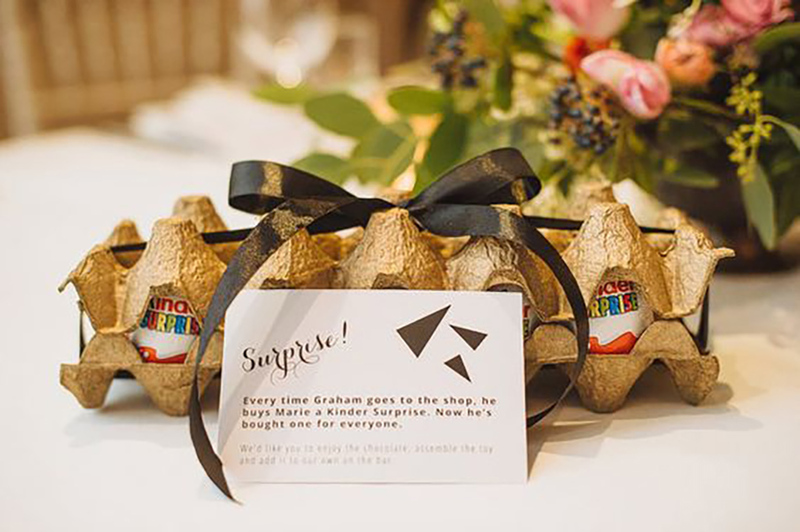 Kinder eggs are another great idea and are sure to go down with your littlest guests! Kid-friendly food and entertainment will be sure to keep the little ones and their parents happy. After the ceremony, serve up mini milk drinks for the kids, accompanied with Easter cookies, while the adults enjoy canapés and cocktails. 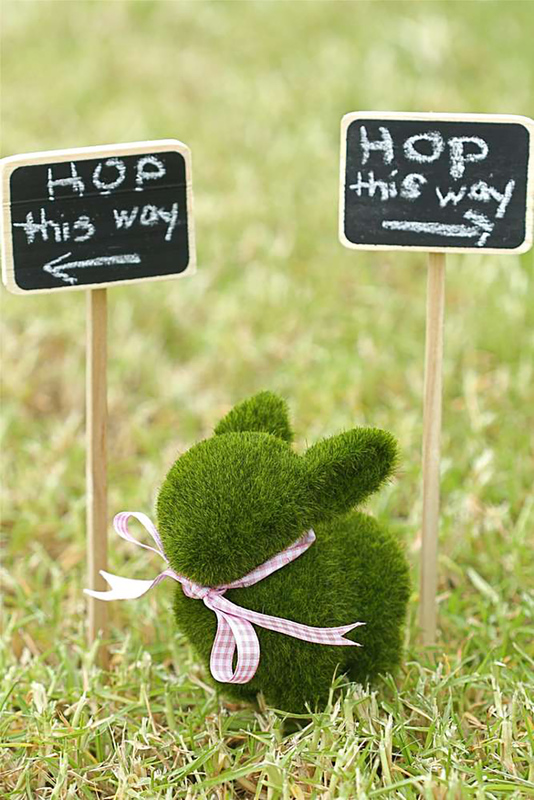 When it comes to entertainment, an Easter egg hunt is a great idea and works particularly well in spacious, countryside wedding venues. 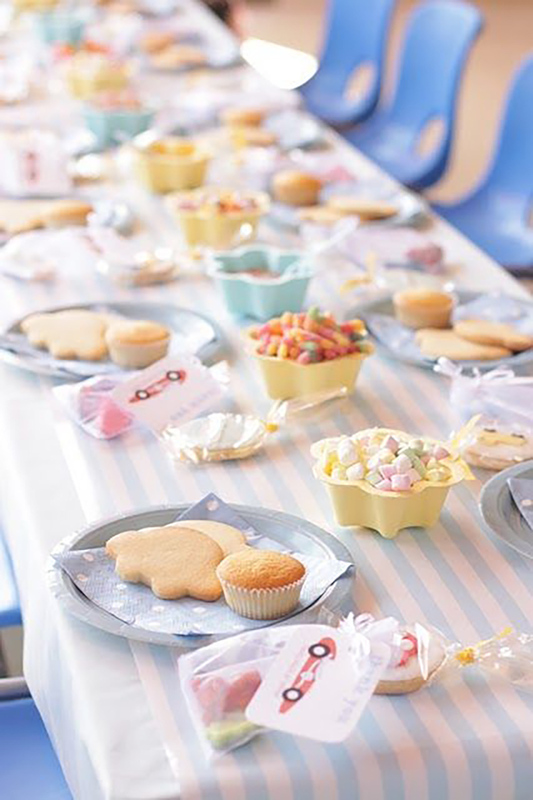 Come evening, the little ones can stay warm inside with Easter-themed cookie and cupcake decorating at a specially set up kids table.